GRJH, Inc., [Cobble Pond Farms] is seeking approval from the Town of Copake to develop one of the largest gas station/convenience stores in Columbia County at an historic and environmentally sensitive intersection–the gateway to the Taconic-Berkshire Region. GRJH, Inc.’s application to build the gas station at the intersection of NY Route 23 and County Route 7 has already been approved by the Copake Zoning Board of Appeals (ZBA), receiving a “Negative Declaration of Significance” determination in the New York State-required SEQRA (State Environmental Quality Review Act) assessment. The Save Craryville community coalition was formed in response to the discovery of this decision by the ZBA. Save Craryville believes that there are in fact potential, serious environmental consequences associated with this project, and that the ZBA should have questioned many aspects of the Environmental Impact Statement submitted by the applicant. Now, the project has advanced to the Copake Planning Board, which is conducting a site plan review to ensure that the project conforms with the Town of Copake Zoning Code. This final review process is our community’s last chance to make sure that true due diligence is conducted to ensure the environmental, aesthetic and scenic value of our hamlet is not impacted. 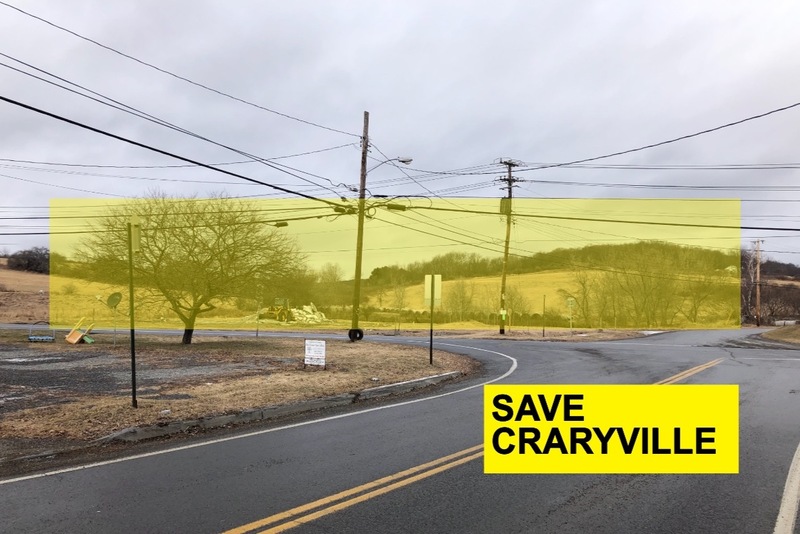 Save Craryville has engaged the services of the environmental land use attorney David K. Gordon and associate attorney Emily Svenson to assist with strategy. GRJH, Inc. owns many gas stations in the Northeast and has been sued multiple times for violating environmental protection laws. In most instances, these cases have been settled prior to going to trial. However, the company’s history is troubling, particularly given that the proposed site sits on top of the aquifer on which the community relies for well water and crop irrigation.